This autumn Impact Hubs and Enviu are teaming up to invite both plastic ‘haters’ and ‘lovers’ to work together towards sustainable solutions in order to reduce plastic waste. In short: Love Plastic, Not Waste. The Plastic Fantastic Challenge is targeted at young entrepreneurs and (post-) graduate students as well as experts and professionals in industry, science and environment. 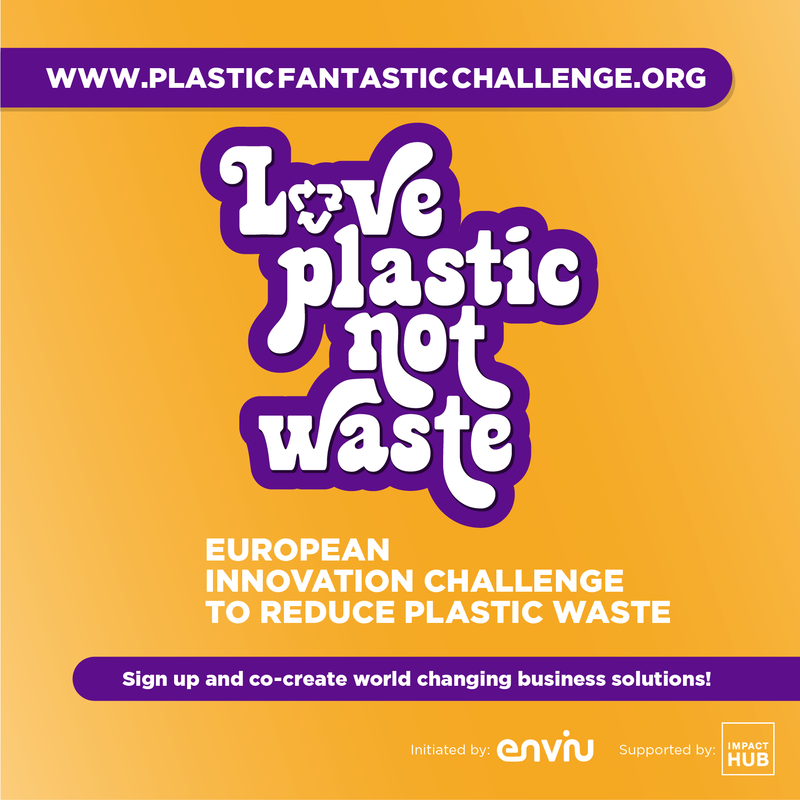 However everyone can join this European open innovation competition by subscribing, sharing and contributing to the business concepts that can be posted on www.plasticfantasticchallenge.org. The call for innovative business ideas is open until December 14th 2015. In the consecutive phases of the challenge ideas are matched, teams are formed and concepts are further improved with the support of an expert community. The best teams will be rewarded with a 3-day intensive Bootcamp at a central location in Europe. During this Bootcamp the teams are coached and supported in perfecting their plans, before presenting them to a final jury. Final winners will be awarded a cash prize of EURO 10,000 of seed capital and membership to their local Impact Hub for further mentoring and access to investors. Enviu starts world-changing companies. We want the global economy to be inclusive and serve people and planet. We drive this change by initiating mass collaboration and impact driven entrepreneurship. Our start-ups deliver products and services that improve the quality of life for large groups of people. Enviu is a partner for NGO’s, corporate foundations and family offices.